Tires are the only vehicle safety feature that actually touches the road. Choosing the right tread type makes a significant difference in your vehicle's ability to stop when you apply the brakes. 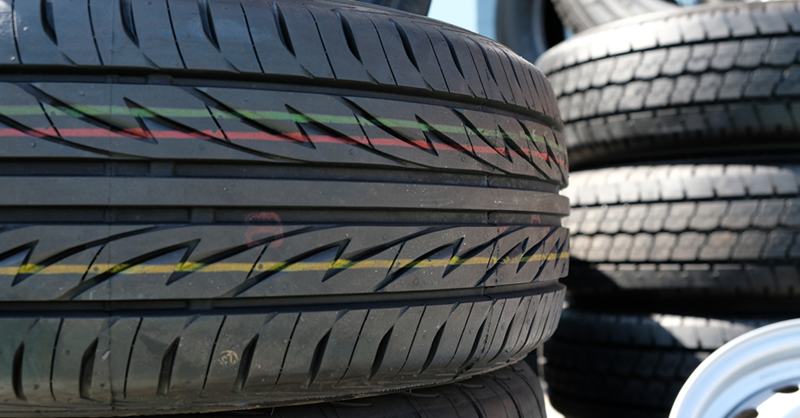 Tire tread pattern also influences with fuel economy, handling and road noise. "Tread design dramatically influences the way a vehicle performs in different environments,” said Jim Davis, spokesperson for The Goodyear Tire & Rubber Co. “For instance, increasing how much rubber touches the road can help determine the level of grip the tires provide a vehicle." Davis recommends drivers select products that complement their driving styles and the climate they live in. All-weather tires offer a smooth ride with treads designed to wick water away. These tires have tread that tends to last longer than the soft rubber compounds found in winter tires. High-performance tires feature a stiffer composition. “There are countless variations of tires as their components are tweaked. It depends on each product’s intended performance,” Davis said. Touring tires offer a smooth, quiet ride with performance on wet or dry roads. Winter tires for icy, wet conditions. All-season tires are well-suited for rainy or dry roads and most road conditions. Off-road tires are intended for off-road driving with limited road driving. High performance tires offer higher speeds on wet or dry surface and exceptional cornering grip. Light truck/SUV tires for traction in off-road conditions as well as on-road comfort. Commercial light truck tires are designed for dirt and mud and everyday commercial uses. Run-On Flat tires may be used as emergency treads for driving up to 50 miles. Trailer tires are engineered for durability and weight requirements of towables. Rotate tires regularly. This helps prevent uneven wear. Rotation methods vary by vehicle and tire type. Replace--do not fix--tires with sidewall damage such as nail holes.